We are delighted to welcome Prof Sir Mike Brady on to the Board of colwiz. Mike brings more than 40 years of R&D experience working in collaboration with industry, academia and government. I have, for the past 20 years, been committed to the transfer of technology from the Laboratory to widespread use. In several cases, this has led me to start new companies, in others to work with or for them. I am amazed to find that I have already amassed 26 board years as a non-executive director of PLCs (companies listed on the London stock exchange), and a further 40 on the boards of start-ups. The first time I saw a demonstration of colwiz, I knew that my wife Naomi and I had to be involved!! It is truly ground-breaking technology. That is what led us to invest in the company; but it is not our way to invest and walk away: I wanted to be properly involved. For the past year, I have just been meeting Tahir, Dave, and others to respond to their invitations to comment or give advice. I was delighted recently when the Board invited me to join them as a non-executive director. Colwiz makes research easier, more efficient, and more effective. I was Founding Editor of the International Journal of Robotics Research, and Associate Editor of Artificial Intelligence, and I am currently Chair of the Publications Board of the Royal Society, which may be the oldest publisher in the world, but it is also one of the most forward looking. The web is transforming the way research is done, managed, and reported. It should be more streamlined; but it is often not at all. Consider, by way of analogy, email. In one sense it has made our lives far better, since we can respond instantly to a message. It has been replacing conventional mail at a remarkable pace, and that trend will continue. However, it is also a pain: we receive so many emails that we simply cannot answer them all, even those marked as junk, even those we would – in an ideal world – like to respond to. Colwiz technology makes research more efficient and more effective by taking much of the pain out of organising our affairs, setting up research collaborations, scheduling meetings, keeping track of growing literature library, writing research articles, and remembering what was done by who. I wish I had had it 26 years ago, when I first came to Oxford and initiated a set of overlapping research streams! Right now I am on a trip to Singapore, New Zealand and then the USA, and you can be sure that I will be presenting colwiz at every opportunity. 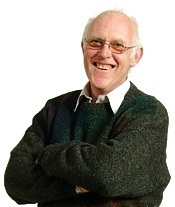 Prof. Sir Michael Brady FRS, FREng is BP Professor of Information Engineering at the University of Oxford. Mike is the author of over 500 research papers, 18 patents, author/editor of nine books, and member of the Editorial Boards of fourteen journals. During his time in Oxford, Michael has been elected a Fellow of the Royal Society, Royal Academy of Engineers, Institution of Electrical Engineers, British Computing Society, Institute of Physics, and a Fellow of the American Association of Artificial Intelligence. He is a Director of the EPSRC/MRC Inter-disciplinary research consortium and a member of the Conseil Scientifique de l’INRIA France. Prof Brady has been awarded honorary doctorates by the universities of Essex, Manchester, Liverpool, Southampton, Oxford Brookes, and Université Paul Sabatier. Brady combines his work at Oxford University, where he founded the Robotics Laboratory and the Medical Vision Laboratory (MVL), with a range of entrepreneurial activities. He is a founding Director of Guidance Ltd, Mirada Medical Ltd (acquired by Siemens), and Matakina Ltd, a Director of Dexela Limited and of ISIS Innovations Limited (Oxford University’s intellectual property company) and a Non Executive Director of Acuitas Ltd, AEA Technology and Oxford Instruments Limited. Michael Brady is a consultant to Siemens Molecular Imaging, and a technical advisor to London Technology Fund.